Sometimes you just have to treat yourself! 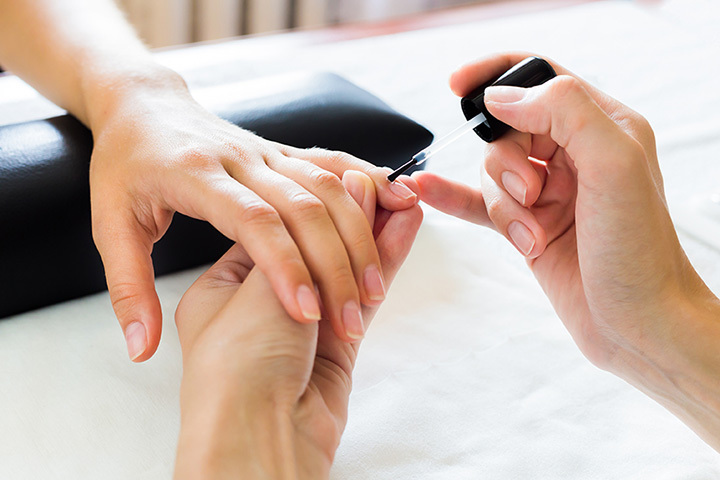 Whether you’re preparing for prom, a wedding, or you just simply need some “me” time, head to one of Michigan’s great nail salons for a high-quality experience. Getting your nails done is a therapeutic experience, and you’ll always leave feeling glamorous. Here are the 10 best nail salons in the state. Detroit's first modern nail bar, as it describes itself, the Ten Nail Bar offers up services that might previously only have been available in New York and Detroit. The two college friends who founded The Ten make it a goal to deliver quality service every time, and as such offer a slate of “products that pop.” That kind of devotion to quality makes this new Detroit operation one well worth considering for those in the area. With two locations—one in Rockford and one in Lowell—A Charmed Life represents a wide string of choices for its visitors. Manicures and pedicures are both on hand, but they'll go beyond the nails to take on eyelashes and brows as well as a process called “sugaring.” Sugaring is a kind of hair removal system that can take the hair follicle out of the root, without much pain, as it's called a great option for those with sensitive skin. PN Nails Spa has been around for years, proving to be a high-quality nail salon option due to its longevity. With an ability to replicate nail designs from pictures and longtime patrons to vouch for quality here, PN Nails Spa has stood the test of time. With locations in Birmingham and Royal Oak, Nails 07 offers the complete slate of nail services, and will even go beyond. Manicures and pedicures are on tap here, as are waxing treatments for further refinement. Better yet, Nails 07 will take reservations for those on a tight schedule, and even offers party services for those who want to get the nail-based pampering in group form. That combination of variety in both services and presentation makes Nails 07 a leader in nails. Grand Rapids' Cure bills itself rather unusually as “the physician's salon.” Further describing itself as “a specialized medical nail salon,” Cure offers an environment focused on cleanliness and sterility, with its sterilizing techniques considered “medical grade” and “overseen by board-certified podiatrists.” This is an excellent place to get your nails done with cleanliness guaranteed. With locations in Linden and Frankenmuth, Serendipity offers appointment-based services for users in either town. Better yet, it even offers special pricing and packages by city. The Frankenmuth location, for example, is offering the Cactus Cooler Combo, which offers a citrus grass scrub, a cactus toning warming wrap, an agave nectar oil massage and a margarita all for $80. As far as nails go, they do some of the best work. You will leave more than satisfied with your manicure. Eco Nails, as the name suggests, focuses on providing its services using natural and organic products in every place possible. From its herbal products to its biodegradable detergent to its LED light bulbs—even the stonework and flooring are recycled material—it's the kind of nail salon that will make you feel good about going to it, not just make you feel good after completing a session. Sturgis has a great range of nail services in Hollywood Nails and Spa. Manicures and pedicures are on hand here, and several different waxing services are also in play for those with more specific beautification needs. Throw in facials and nail art and Hollywood Nails and Spa will bring out some fairly big-city advances with small-town service in mind. Another great example of small town service with big city services is Commerce Township's Paradise Nails. Paradise Nails can work with any level of need from a quick manicure all the way up to a complete day's worth of treatments and services. Manicures and pedicures start the roster, but quickly work up to waxing services, nail color modifications and beyond. There are even special prices for the younger set, so those looking for a mommy-and-me sort of setup will be accommodated here nicely. Those going to Boyne Mountain for skiing will be happy to know about En Vogue Salon, where it will be possible to get your nails done after—or even before, whichever—a day of skiing. A slate of nail services from manicure to pedicure are on hand, including pedicures with polish and both French and spa manicures. Shellac installation and removal are both available, and a paraffin hand dip completes the package. From there, try the hair services, facials and even event hosting options to make a complete experience.